Transport firm CIMC plans to swap its foreign currency “B shares” from Shenzhen to Hong Kong. Capital controls mean it’s not simple. But this offers investors a way out of an illiquid and low-valued investment, and helps tie up a loose end in China’s capital markets. China International Marine Containers (Group) received approval from Hong Kong’s stock exchange to convert its Shenzhen-listed, Hong Kong dollar denominated shares into Hong Kong-listed shares, according to a person close to the matter. 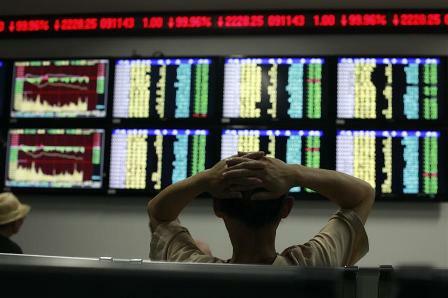 The company plans to list the shares in Hong Kong from Dec. 19, and doesn’t plan to raise new funds. The company’s 1.2 billion Shenzhen-listed shares, denominated in Chinese yuan, would continue to trade as before. China International Marine Containers said in August it was seeking to convert its 1.4 billion of so-called B shares, valued around $1.7 billion, into Hong Kong-traded H shares. Shareholders can alternatively sell their shares back to the company at HK$9.83 each. China’s B-shares, which are denominated in Hong Kong-dollars in Shenzhen and in U.S. dollars in Shanghai, were designed to give foreign investors access to Chinese stocks, but could be purchased by Chinese passport holders as well. Chinese citizens aren’t allowed to invest directly outside the mainland markets.